Lymphedema Sleeves & Gloves Tampa: What Is Lymphedema? Lymphedema (limph-uh-dee-muh) is a condition that most, if not all, breast cancer survivors are concerned about. In today’s post, we’ll walk you through everything you need to know about managing and avoiding lymphedema. If you’re looking for lymphedema sleeves and lymphedema gloves in Tampa, come by About You Mastectomy Boutique! We’re located at 3401 Henderson Boulevard, Suite A, and we carry a variety of compression garments that can help you avoid and treat the symptoms of lymphedema. 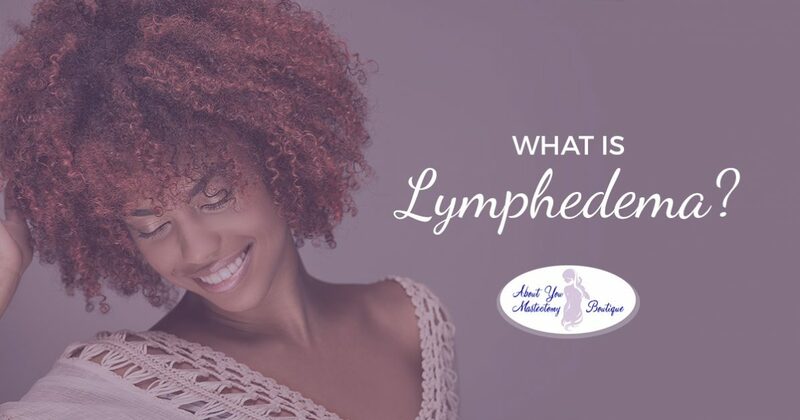 To fully understand lymphedema, it’s helpful to have a basic understanding of the lymphatic system. While the lymphatic system is complex and interconnected with other systems in the body, its primary function is to collect and carry cellular waste, plasma, proteins, and other waste out of the bloodstream and to other areas of the body. At its most basic, lymphedema is swelling of the limbs or extremities caused by an improperly functioning lymphatic system. Breast cancer treatment generally involves radiation, and radiation damages and/or requires the removal of lymph nodes in the body. As you might expect, an impaired lymphatic system means that excess fluid and cellular waste cannot be removed from the body, and a buildup of excess fluid causes extreme swelling throughout the body. You can’t control which treatments your body requires to fight cancer, and you certainly can’t control how your body responds to chemotherapy. However, you can control the steps you take to combat lymphedema after your treatment ends. Take steps to ensure that you don’t lift heavy objects, especially in the first few months following your surgery. If you plan on doing work around the house, stop and take a break if your limbs ever feel tired, achy, or fatigued. While lymphedema sleeves and lymphedema gloves can help to prevent lymphedema from occurring, certain exercises and movements can also help the body effectively regulate fluids. Gentle, low-impact exercises which enhance flexibility are a great way to get your blood moving without putting too much stress on your body. If you’re concerned that you’re beginning to develop the symptoms of lymphedema, then you should invest in a lymphedema sleeve or glove to prevlyment the symptoms from worsening. At About You Mastectomy Boutique, we carry a great selection of lymphedema sleeves and lymphedema gloves that can help you slow the progression of lymphedema. We hope that this post has helped you to better understand how you can treat or avoid the symptoms of lymphedema. If you’re looking for more information about compression garments, then just come by our mastectomy boutique in Tampa to speak with one of our friendly associates. We’ve helped hundreds of women in Tampa and the surrounding areas find the perfect garments for their needs, and we would be happy to help you, too.